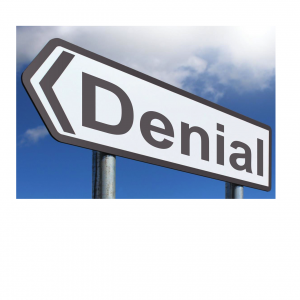 Is it Denial? Or Anosognosia? When your loved one says “I feel fine” are they telling you the truth? It is important to keep in mind that an active eating disorder alters brain function. It changes how a person feels in their body, even how they think they appear to others. a brain-based inability to sense that one is unwell, or to see weight loss or failing health. It often seems to the sufferer that they are fine and others who are showing concern are irrational and unkind. Often seen with people who have brain damage from stroke, and in those with bipolar or schizophrenia diagnoses. a brain-based distortion in how a person perceives their body shape, appearance, and size. Common with eating disorders. Is not conscious or willful or chosen. When our loved ones say they “feel fat” or are “fine” they may well be seeing and feeling that just as someone would if they actually were a different size or shape. This distortion in the mirror and even in photographs. It is as real to them as our appearance is to us. an inability to express one’s emotions. While the person may feel uncomfortable they may struggle to say why or in what way. They are unable, not unwilling, to describe how they “feel.” As caregivers this can be frustrating, but it is important to know that “I don’t know” may be true. an inability to feel pleasure. As with other issues on this page, this is not a choice or something one can decide on. Anhedonia is common among those experiencing depression and some eating disorders. Your loved one is not choosing to feel or think the way they do while ill. These are known brain problems: not “denial” or misbehavior or making poor choices. Your sympathy and confidence can help. Avoiding arguing with or discussing these symptoms can be helpful and preserve your energy for other tasks. It is not necessary to convince your loved one they are not thinking “correctly.” It is enough for you to know what is happening and for you to be confident that these ideas and beliefs will decrease with successful treatment. Your ability as a parent to see when your son or daughter’s perception improves is one of the very important roles you can play during treatment. You knew your child before they were ill, and you’re still going to be there after treatment: your observations are valuable. Treatment for eating disorders can help with all the above symptoms. Not all patients experience all of them, and each person may have them to different degrees at different times. Without restoring normal eating behaviors and restoring normal nutrition and body size, patients cannot be expected to overcome these symptoms. Food is medicine, in addition to psychotherapy and medicine and time.